You are here: Home / Lifestyle / Wearing a Tie Makes You Appear More Respectable But Why? Every man asks every once in a while asks why he has to wear a neck tie to work. It is clunky, it is a bit of a trouble to knot sometimes, and it is literally choking you all day. Probably the best way to look at this is not to ask why you should be wearing one, but really, why you had to ask. However constrictive, it has been tradition and it feels a bit weirder now to suddenly change the formal look without it. Even with all the famous athletes donning their athleisure, the suit will never die as it has now been a fixture. Sure, wearing tapered sweats is great for casually walking down the park after a boozy brunch but could you imagine wearing that at gala event. And if you get a bit richer, say earn six figures, then you would probably be wanting to wear a custom tie each chance you can get. In this article we are going to talk about the reasons why it makes a person more respectable to wear a tie and we are going to feature some examples of real-life situations as evidences of these. It is not an exaggeration that, throughout history, the tie have been a symbol that embodies nobility, order and even honor. 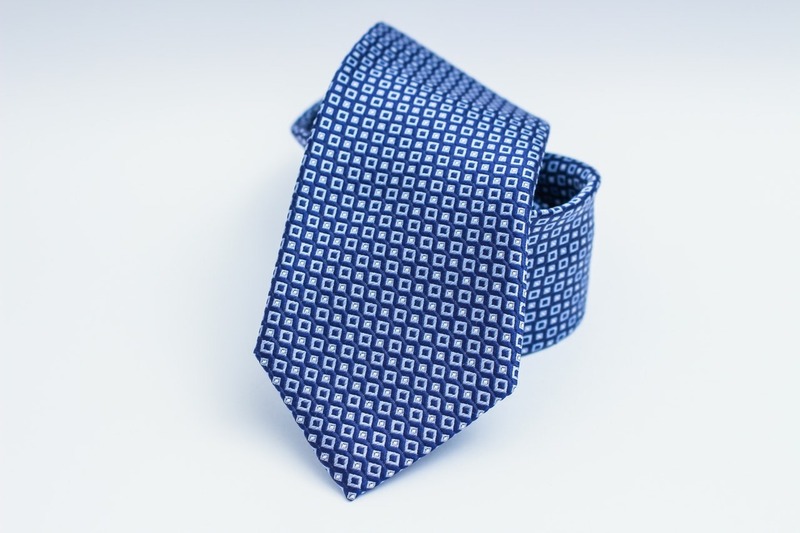 The necktie originated from 17th century europe which was a time of war. Back then, the French king, King Louis XIV, hired croatian mercenaries that wore fashionable knotted neckerchiefs as part of their battle attire. The king loved it so much that he decreed that all formal events be attended wearing the apparel. The custom necktie was then called the croat to honor the Croatian mercenaries that brought it and is the precursor to what is later called the cravat. The king used the croat to to signify one’s status and thus became the symbol for a man’s stature. Today, as if almost a remaking of the old french courts, neckties still command the same sense of nobility. Who does not come across a guy wearing a suit and tie with head held straight up and just think how important this person must be. So, for your sake, wear a tie as it demands respect and you have an entire history to back it up. Confidence is an issue for most men in today’s world where it takes the slightest edge to push you ahead of the onrushing competition. They say that a man exudes confidence when he is dressed properly. And how else can one signal capability than wearing something that completes the look of the businessman – the necktie. Think about it, there are so many ways that a single feature in your get up can make you seem something that you are, or even something that you are not. One look at someone wearing a leather jacket and a bandana means this guy rides for sure. And wearing glasses makes someone look smart even if that person has flunked in every major exam in his life. The necktie is almost the same way in that if you wear one you will seem more capable, confident and hence respectable. This may be a sad part of society nowadays, but people operate on perceptions and you have to take advantage. You can decide how a person can perceive you at first sight by wearing something appropriately. If you wear your custom tie and appear as proud as possible, then you will be the center of attention and everyone will naturally gravitate towards you. Most offices these days are starting a trend of letting their employees wear whatever they want especially those headed by younger managers. This can either be a free pass for you to wear whatever you want or an opportunity for you to stand out with a suit and tie among in a crowd of t shirts and sweatshirts. Despite the growing culture of loosening on workplace wears, there are still situations that command that you wear something sharp and professional. And none probably is the epitome of professionality in men’s wear as the suit and tie. Even in a workplace that demands that you wear for whatever feels comfortable for you, you should wear a tie to make sure that people takes you as seriously as they should. By being “that guy”, you can inspire other people to act more formally when the situation calls for it and this will certainly be a hit from your boss’s perspective. No longer are neck ties simply used for formal wear as evidenced by countless tie designs that sprout up every day. And with several designs popping up, even casual wear can look sleek and professional when you find the tie to perfectly match it. Let us not kid ourselves here, half the reason that you want to look good is because it makes you feel good. It is not a sin however as it is just human nature. Feeling good about your appearance rounds us back up to all the qualities that you want to seem. That confidence can only be gained by the feeling that you can finally show yourself up to the rest of your peers. A necktie rounds up your look to leave you with less insecurities. Not only does it make you look good, but it also takes away the attention to other parts of your get up. When you wear a bold colored tie, it will be as if you are saying to the world to look at your tie and judge you only through it. Wearing a tie means making an extra effort and that will not go unnoticed by your peers, your boss, and most importantly by yourself. What else is a better expression of loving thyself if not by making an effort to make yourself look and feel pretty.